On March 13, 1852, Uncle Sam was featured as a cartoon character in the New York Lantern. Uncle Sam made his illustrated debut in 1852, and quickly became the symbol of the United States. 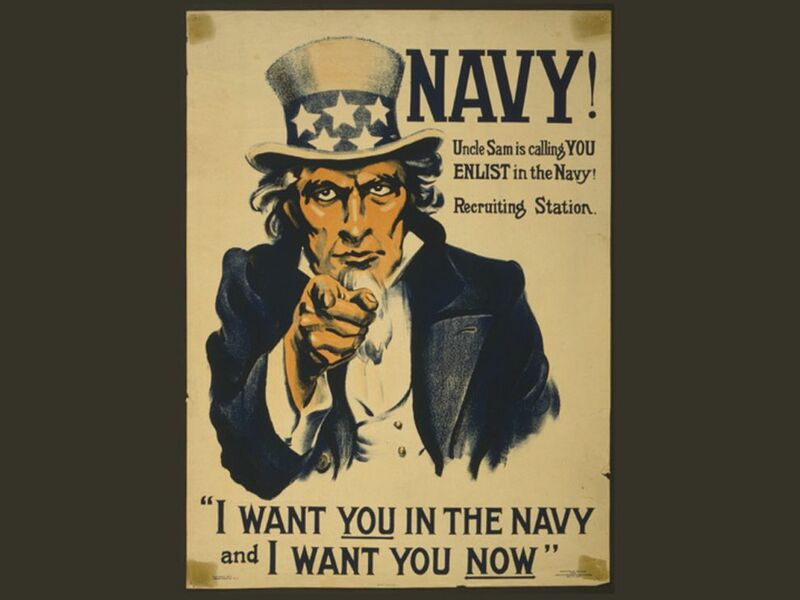 This famous poster dates from World War I. On March 13, 1852, Uncle Sam was featured as a cartoon character in the New York Lantern. The name is associated with Samuel Wilson, a meatpacker who provided food for the Army during the War of 1812. Wilson's barrels of meat were stamped with "U.S." for United States. Soldiers started calling the meat "Uncle Sam's." The (unillustrated) character of Uncle Sam appeared years earlier, and was even mentioned in a 1775 verse of “Yankee Doodle,” the first national anthem of the United States! personification, or symbol, of the United States.